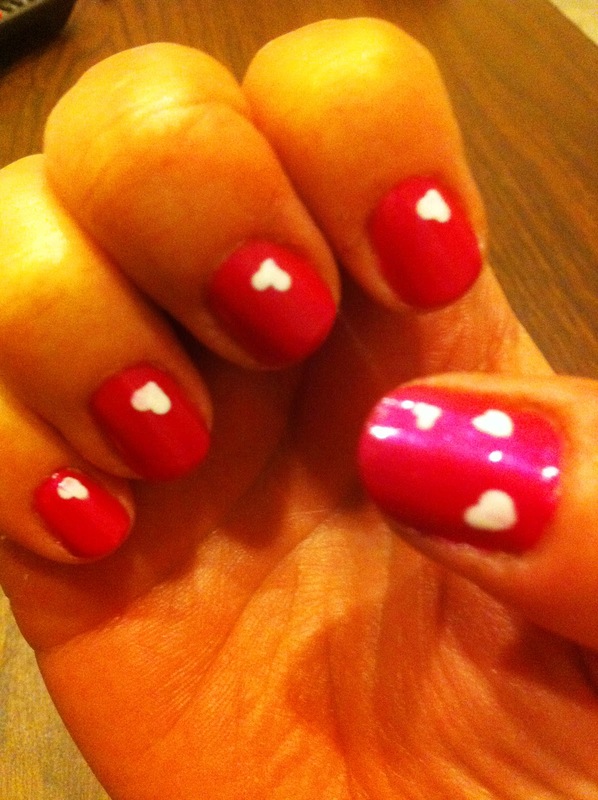 So I tried an experiment - hearts. It is Valentines day, after all. 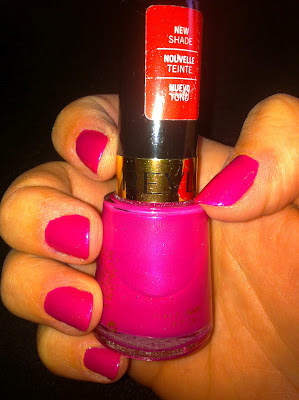 And I REALLY like the way they turned out!! 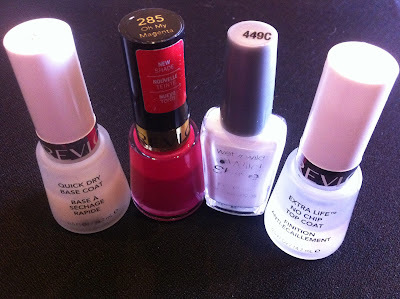 I started my nails with the base coat to prepare my nails. Then I painted two coats of the Magenta colour to give a nice background punch. Now for the hearts...this is the tricky part, but it's really not at all as difficult as I was expecting. 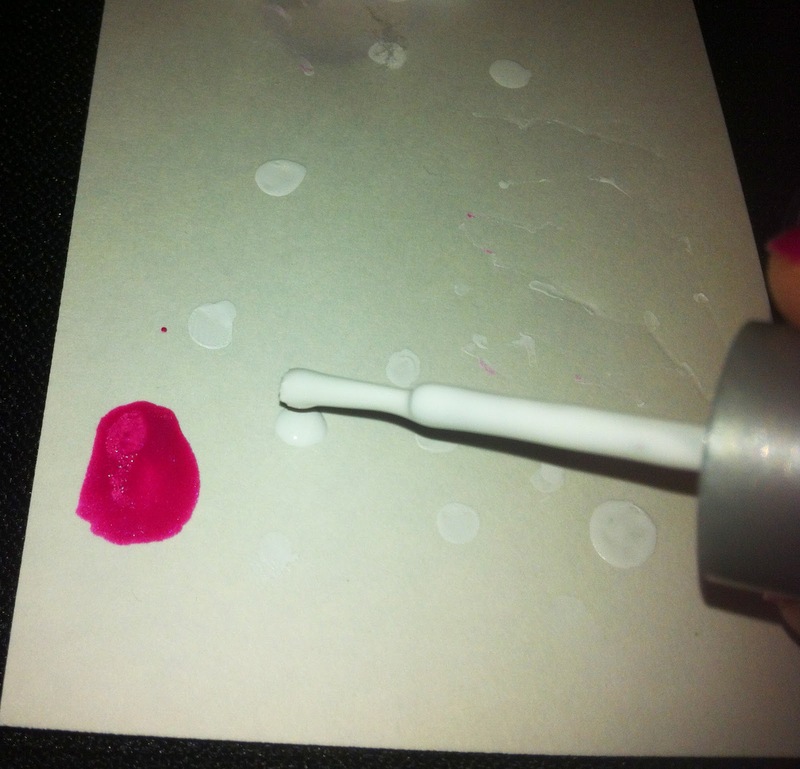 Place a drop of the french white polish onto a 3"x5" index card. Next, I used an embossing tool. You heard me correctly; an embossing tool. 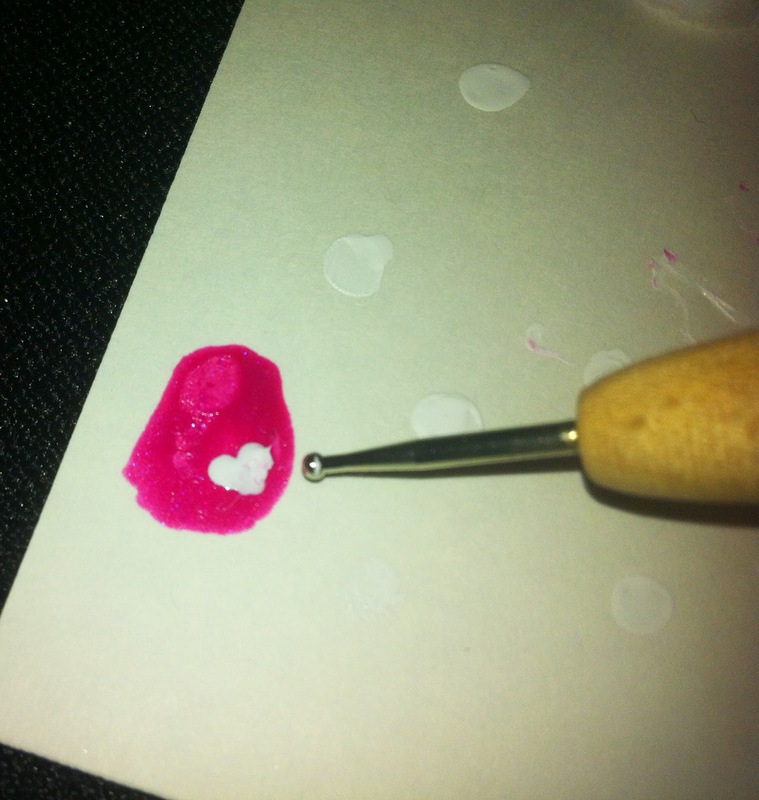 I dipped the large end of the embossing tool into the drop of french white colour. 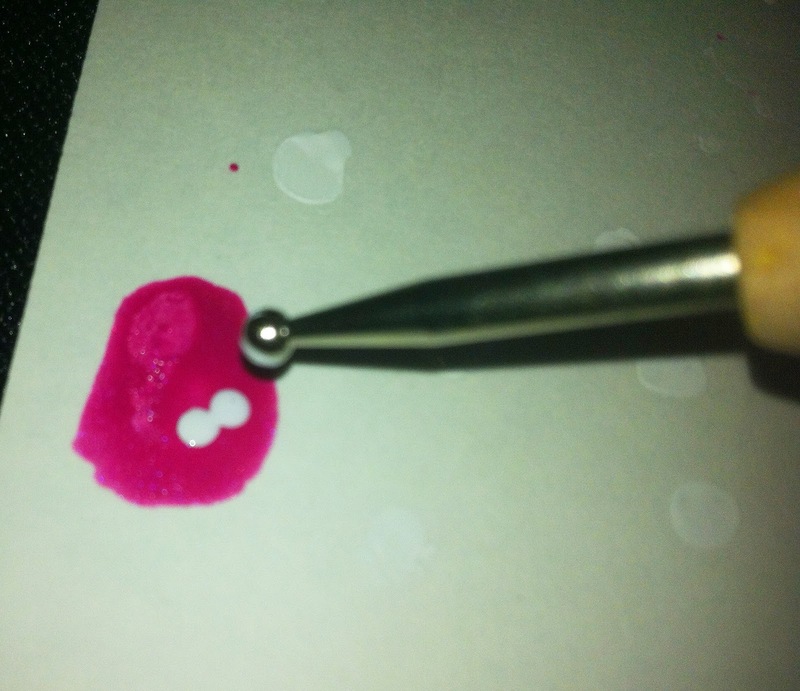 Then I put two dots, side by side, onto the magenta. 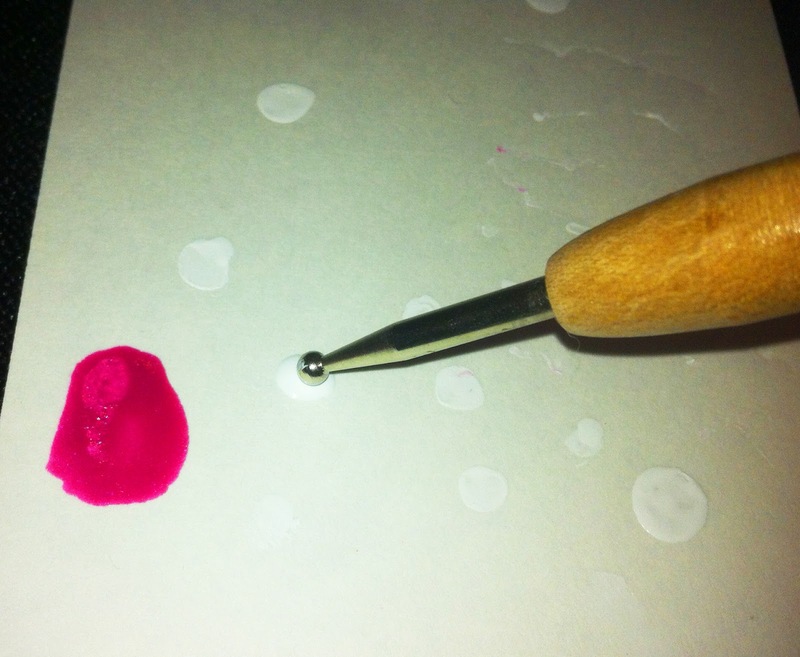 After that, flip the embossing tool over to the small end, and dip that into the french white colour. Using that, I connected the two dots moving down in a somewhat 'V' pattern to finish the heart design.